If you're in the market for a small car, be sure to take a look at the redesigned 2014 Hyundai Elantra, which includes a host of new features for this year's model. The car was ranked among U.S. News and World Report's top 10 affordable compact cars and top 20 affordable small cars. Read on for even more reasons to consider this stylish vehicle for your next new car purchase. While the engine in the 2013 Elantra provided adequate power, this year's model adds 2.0-liter, four-cylinder engine that steps it up for fans of horsepower. The car comes standard with a six-speed manual transmission with an optional six-speed automatic transmission available. In fact, at 143 horsepower, this small car fares better than other options in its class. 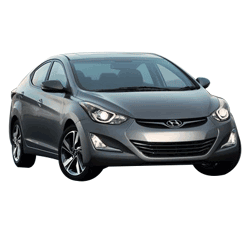 The base model of the Elantra offers much better features than competitors in its class. Heated mirrors, full power accessories, cruise control, a trip computer, and a six-speaker sound system with a CD player, satellite radio and USB/iPod interface, all come standard in the lowest trim level, making this a great choice for technology buffs on a budget. The Elantra is one of the few midsize compact cars that has almost as much space as a more expensive midsize sedan. If you're looking for a car that's small on the outside and roomy on the inside, this is one to put on your list, with plenty of passenger and cargo space for its size. In fact, even the coupe model has a surprising amount of trunk space for a two-door car, and the rear seats fold flat for long vacations or big shopping trips. 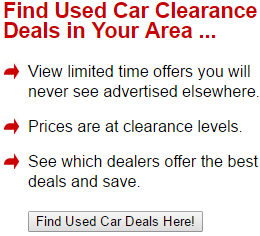 The car's manufacturer is one of the few that offers a 10 year/100,000 mile powertrain warranty. This makes Hyundais worth checking out if you are looking for a vehicle that will stick with you for the long haul, with low cost of ownership. The four-door Hyundai Elantra comes in three trim levels: SE, Limited, and Sport, with different features for each. There's also a two-door Coupe, which features many of the same styling and options as the Sport with an additional technology package available. With six standard airbags and innumerable safety features, the Hyundai is one of the safest cars in its class. It received five out of five stars in government crash testing, and is a top safety pick of the Insurance Institute of Highway Safety. All trim levels of the 2014 Hyundai Elantra come standard with the ability to stream Pandora and iPod music straight to the stereo. The Sport and Limited version also come with 4.3-inch touchscreen radio with a rearview camera, while a navigation system is available as an option in the Limited trim; satellite radio, Bluetooth, and push button start can also be included. The 2014 Hyundai Elantra starts at just $17,800 for the base model, which packs as many or more features than higher-priced cars in this class. Add in the low cost of ownership and the stellar warranty, and you've got a car that fits in even the tightest of budgets. Few cars in this class get fuel economy as high as the Elantra's stellar 38 highway miles per gallon. This is especially notable considering the punched-up power in the 2014 version. Though the Elantra's design is a few years old, its curves and flowing shape still feel fresh. This motif is present in both the exterior and the interior, which uses premium materials for a luxurious look and feel. Beyond design, the tilt-and-telescopic steering wheel is adjustable for optimal driver comfort, making this a good choice for road trips and long commutes alike. If you have children or carpool, your passengers may find the backseat a little cramped, particularly those who are taller. And while some find the car noisy, reviewers note that the interior cabin is much quieter than the 2013 version due to a few design tweaks. Overall, the Hyundai Elantra is the best value you'll find in the small car class, particularly if you're looking for something packed with features but yet doesn't break your budget. Also, some experts note that if you are looking at one of the higher end Elantra models, you may be better off moving up to the Sonata or another car in the mid-sized sedan class.